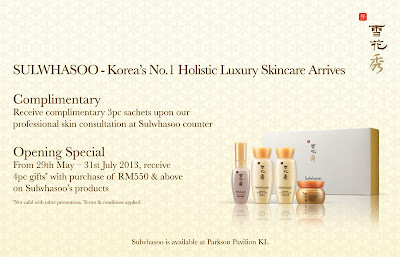 Sulwhasoo: Arrives in Malaysia at Parkson Pavillion! Amore Pacific, the company that brought you the popular Korean brand, Laneige is back again. 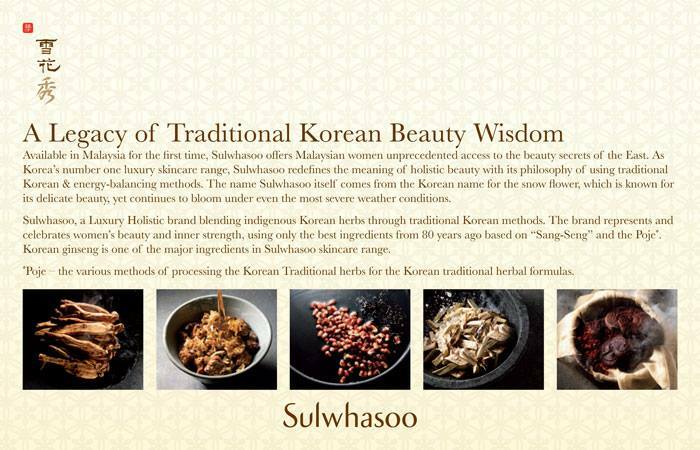 It now brings you another legendary line of skincare brand to the Malaysian shores, the brand Sulwhasoo. 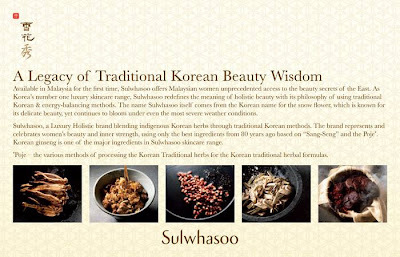 Sulwhasoo is a premium luxury skincare brand from South Korea. Complimentary 3 sachets skincare is available upon professional skin consultation at Sulwhasoo counter. Beginning 29th May - 31st July 2013. Available now at Parkson Pavilion KL.